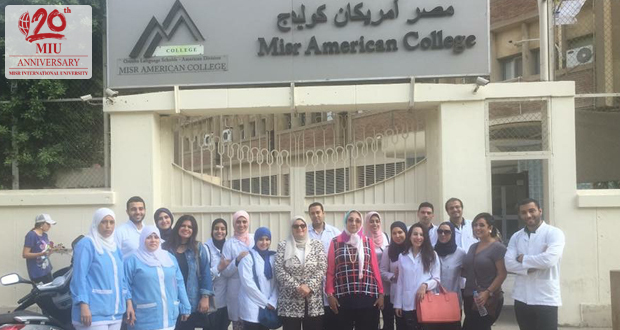 The Community Service and Environmental Affairs Committee in collaboration with The Interns Department developed this academic year an oral health educational program to examine and educate all students attending El-Orouba Language School. The first trip was on Tuesday 24th October, 2016. 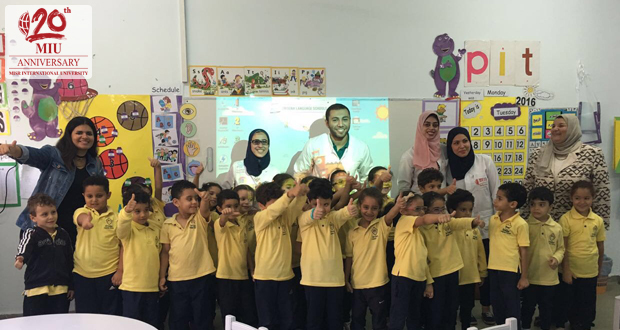 Interns were responsible for dental health awareness in addition to free oral and dental screening to a total number of 90 kindergarten students of both genders. 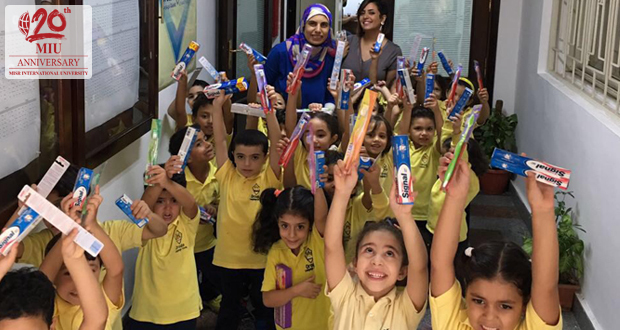 Educational materials, packs of tooth paste and tooth brushes were distributed to all students. Needs assessment and satisfaction questionnaires were administered to teachers and administrative staff. Satisfaction questionnaire was administered to all interns.